If Thanksgiving with extended family isn't happening this year, try celebrating Friendsgiving with your second family—your BFFs! Your complete menu awaits. Treat your friends to the juiciest turkey ever, courtesy of a soak in salty, vinegary brine. Hungry for more details? Read our full article on How to Brine a Turkey. 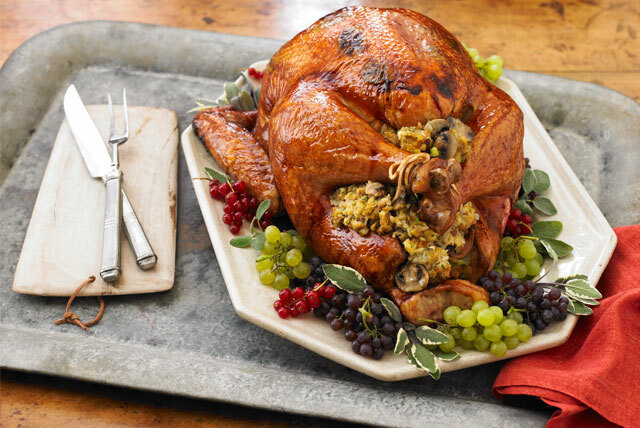 And brined or not, don't skip stuffing that bird! Speaking of stuffing—spread the love to the appetizers! 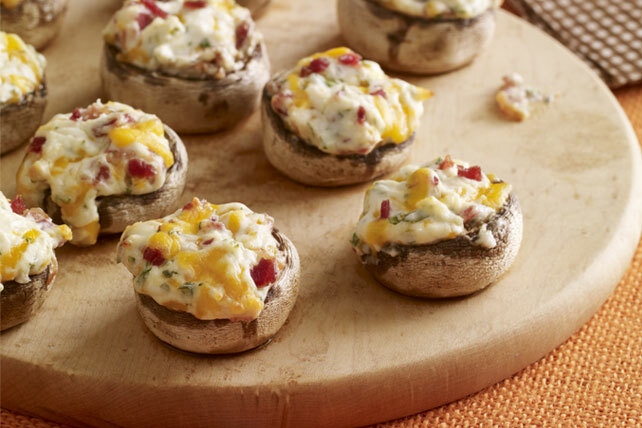 We made classic stuffed mushrooms into cheesy bacon appetizers. Plan on making plenty to go around. Keep side dishes easy to allow more time to chat! 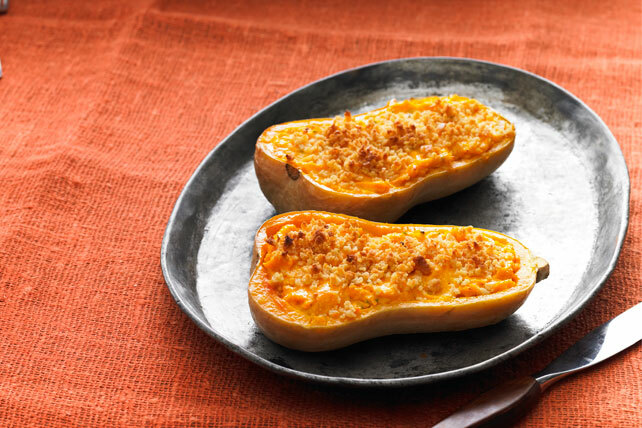 We baked sweet butternut squash, then mixed in cheese, sour cream and seasonings before refilling the shells—kinda like you do with baked potatoes! 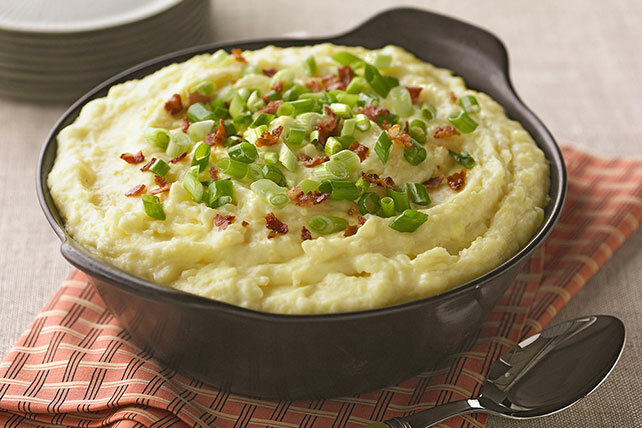 And while we're talking easy recipe, what's easier than making mashed potatoes ahead? Prep the taters up to two days beforehand, then pop them in the oven when it's Friendsgiving go-time. For more pre-planning, check out our Top 10 Make Ahead Recipes. Round out your Friendsgiving plates with something light, like this Healthy Living salad dotted with cranberries and cherry tomatoes. Need help choosing good-quality greens? 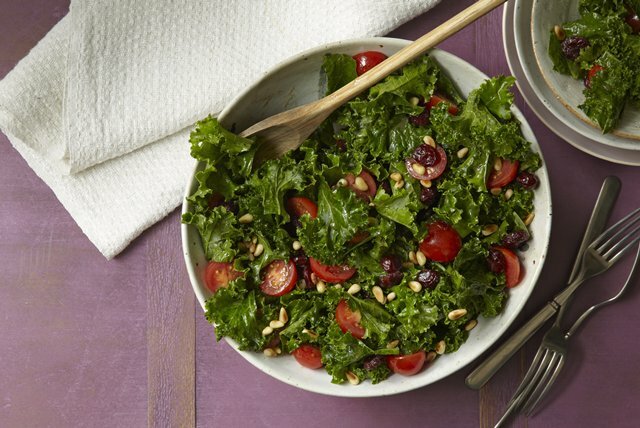 Check out our seasonal produce guide to kale! You could go the traditional route and make apple pie, but if you're serving a crowd of buddies, these easy bars serve 16. 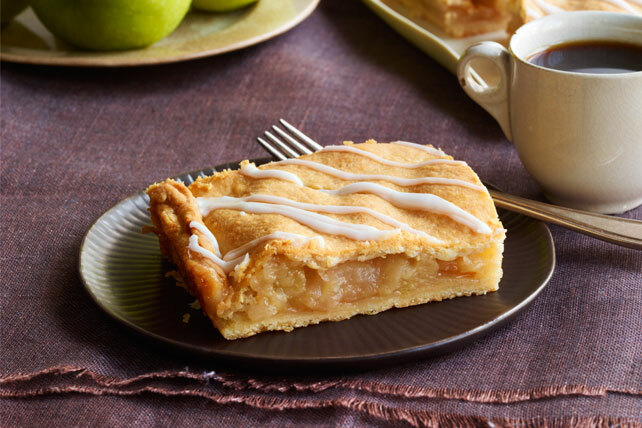 Or if pie bars aren't quite your thing, click through our other apple recipes for a fruity, fall-flavored dessert. Everyone has a friend or two who goes gaga over pumpkin. (Some of us are that friend!) 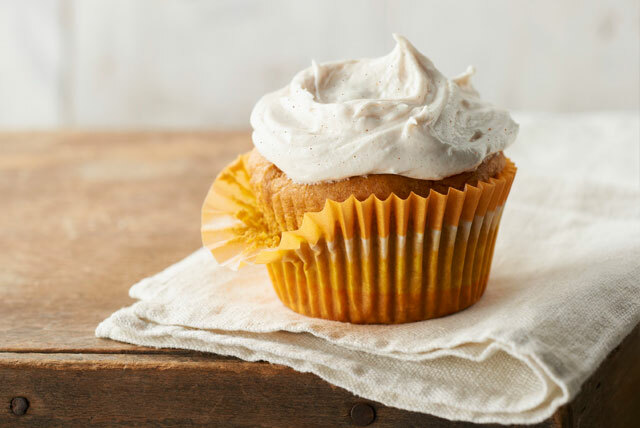 Indulge your pals with these easy cupcakes that have all the flavor of pumpkin cheesecake but in a less-fussy format.